Cultivated land efficiency. The need for sown area reduces by half. Crop yield increase. All parts of a plant are equally exposed to the sun. Crop is less liable to diseases. Comfortable maintenance. Caring for plants becomes easier and handy. Decorative function. A garden or vegetable plot with trellis-mounted plants on a neat framework, which carefully bear twining stems of a climber, looks more tidy and attractive. 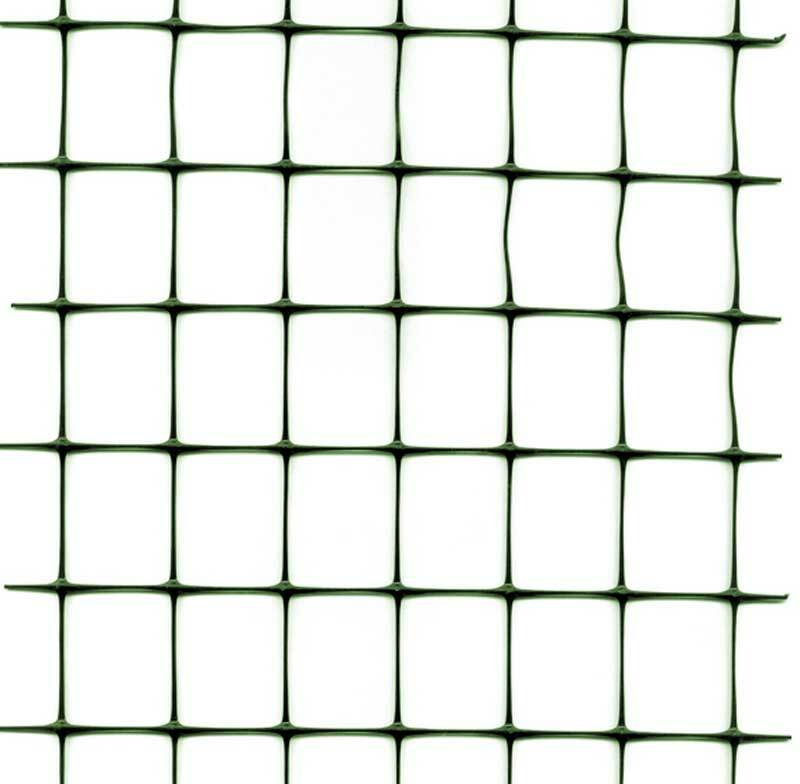 Cucumber trellis netting F-150 and F-170 has large openings 15 cm wide. The netting is quite durable and can carry the heavy weight of rich crop. It makes harvesting easier. Can be used not only outdoors, but also in greenhouses. Pea and bean netting U-45 has smaller openings, which ensure more compact and even distribution of plant over vertical surface. It causes a boost of crop yield and prevents the spread of plant diseases; unharvested pods remain succulent for a longer time. 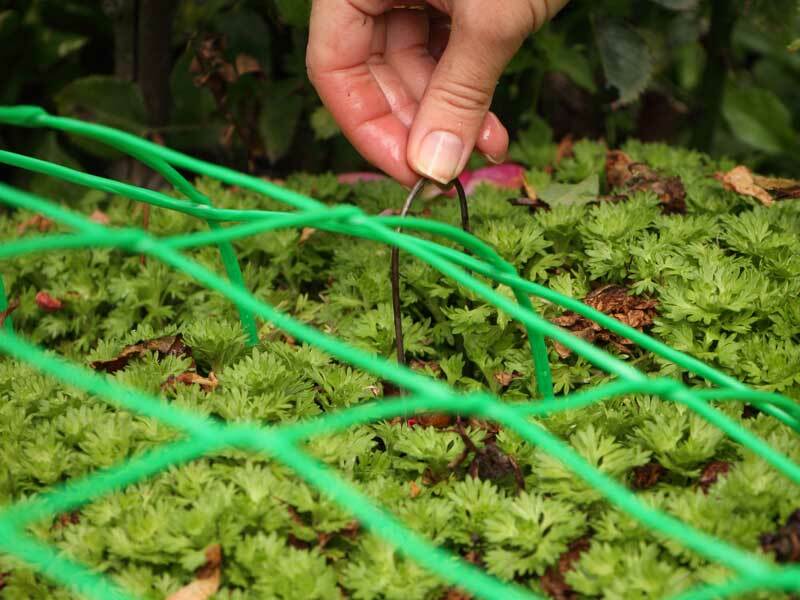 Plastic nets PROTECT for the care and protection of plants are resistant to atmospheric precipitations, rot-proof, easy-to-install and allow multiple application. 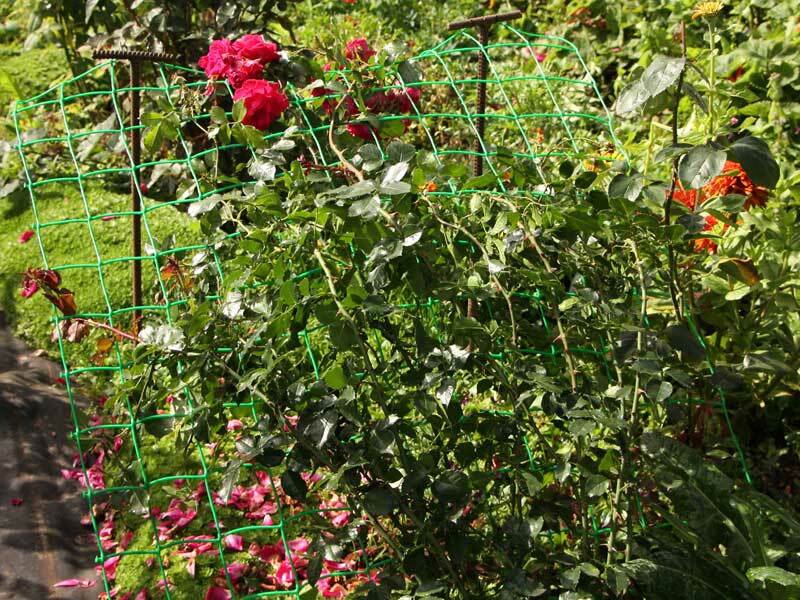 We manufacture firm plastic mesh enabling support for roses, grapevines as well as for annual plants. 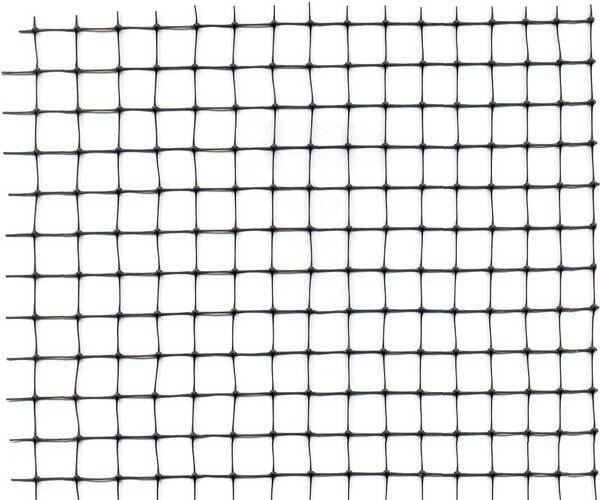 These nets differ not only in operating temperature, but also in density and rigidity. 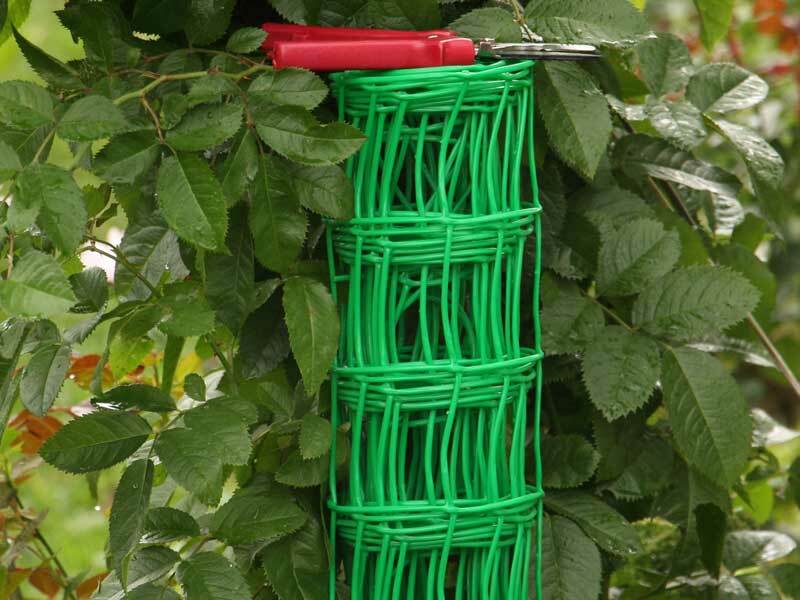 For propping up creeping roses and decorative grapevines we advise you to use our nets F-90. They needn’t be stored away for the winter months. The nets F-90 can bear quite a heavy load. 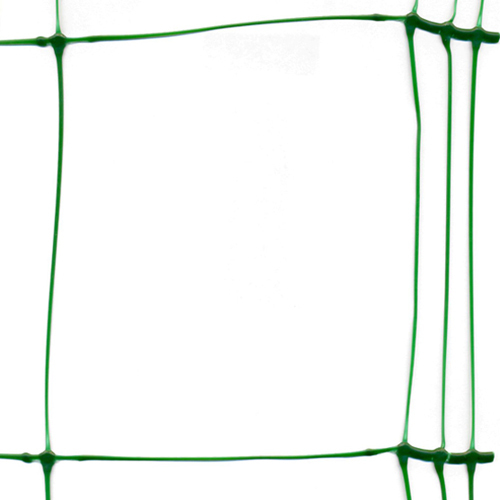 Its high durability allows applying these nets as a secure support for decorative plants with strong shoots. 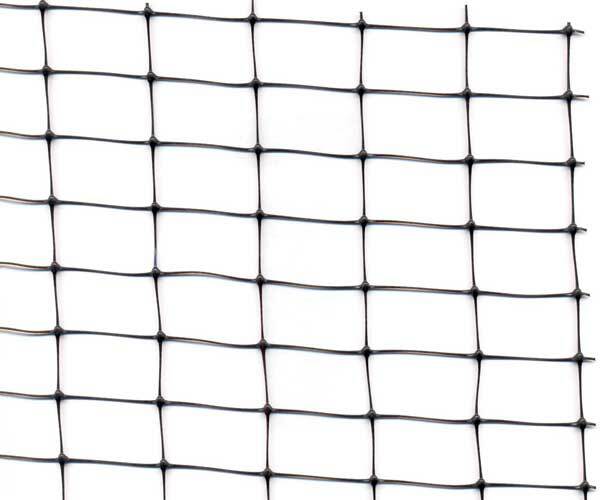 Nets F-90 have the biggest openings – 90*100 mm, the mesh size in a roll equals either to 1*5 meters or 1*10 meters. 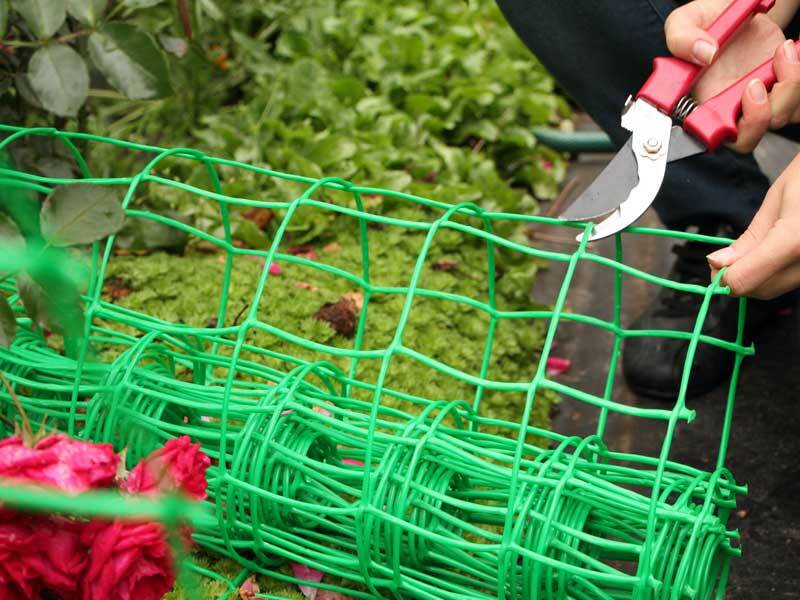 For growing annual plants and clematises for cutting we advise you to use our net U-22. 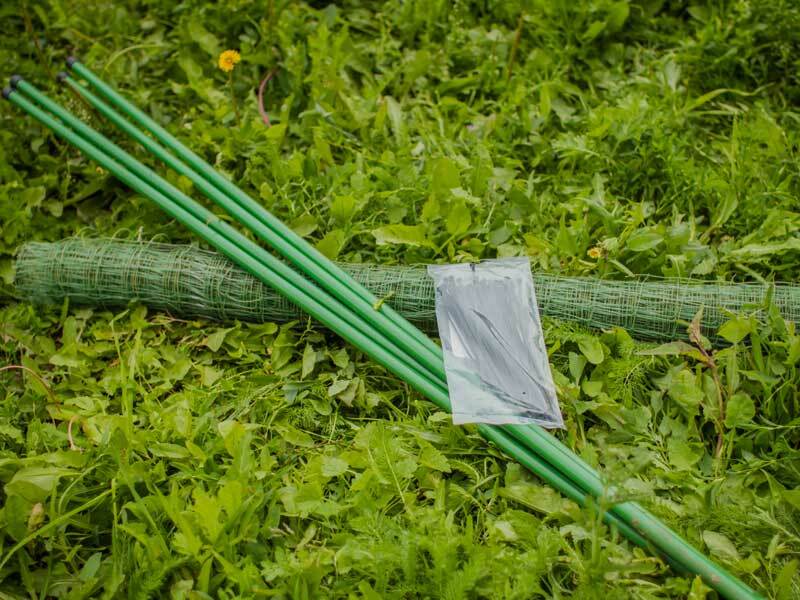 Clematis trellis netting U-22/1/6 PROTECT is specifically designed to provide support to the stems of decorative climbing annual plants like clematis of pruning groups II and III, Ipomoea (morning-glory) and alike. 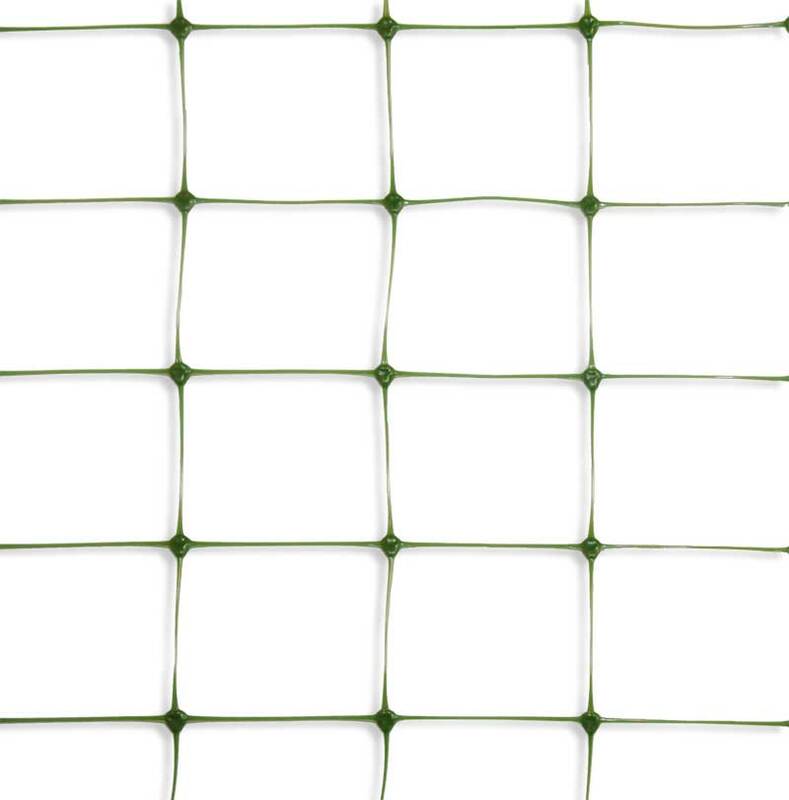 Thin and durable, the net with openings sized 22*22 mm can bear annual plants in full bloom. The mesh size in each roll is 1*6 meters. The net, giving support for climbers, is invisible in foliage and enables their even distribution in space. 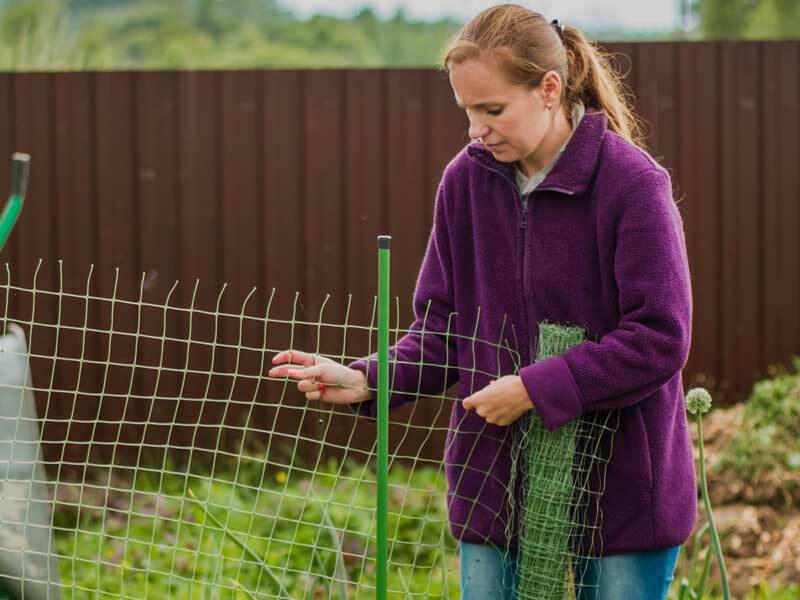 If the medium temperature in your region is below -15°C, the netting should be put away till next spring. It can be stored quite conveniently - simply folded or wound into a roll. 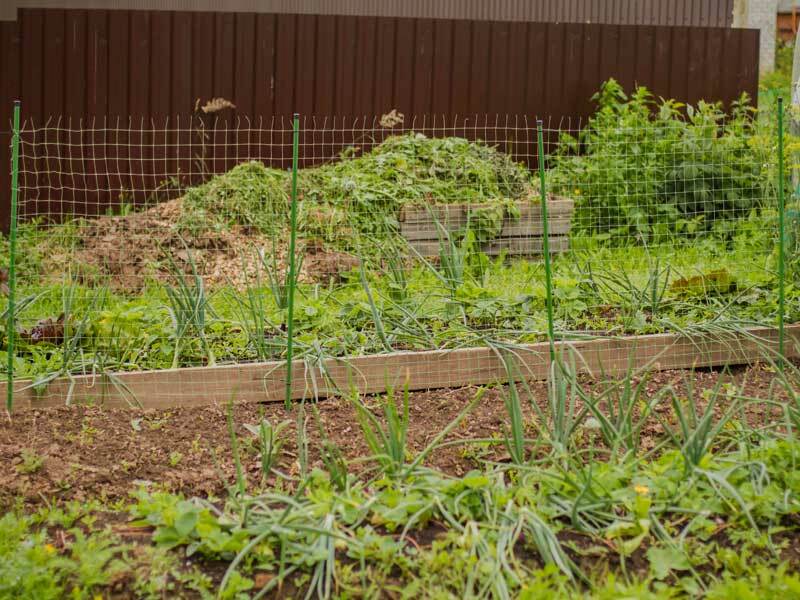 For the 6 m long vegetable bed you will require: 4 pieces of 1.5 m high poles, 8 plastic ties (can be replaced by pieces of metal wire or a rope), 1 package of PROTECT Pea and bean netting U-45. Drive poles into the ground at the intervals of 2 meters. and fasten it with plastic ties. Now one may sow peas! May you have a rich crop! Tip: in the regions with winter temperatures below -30°C it is advised to put the netting away till the next crop season. 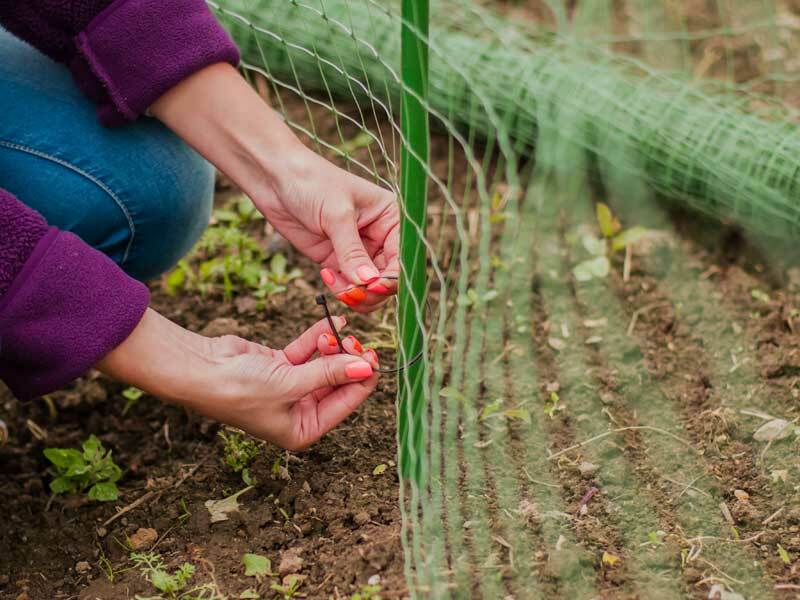 What's involved in installing clematis trellis netting? First of all one needs to choose the place for clematis support. If you are planning to fix the netting to a wall or a fence, provide yourself with some metal staples and pegs (or nails). Having hammered the nails into the wall at the necessary height, hang the netting on them, cut the excess mesh at the bottom and fix its edge to the ground with U-staples. The clematis support is ready! 1st step: prepare your working space, drive stakes into the ground at the appropriate distance, unpack the net, and make ready a pair of secateurs and plastic ties. 3rd step: if needed, correct the length of the net by cutting it off with secateurs and fix its bottom edge to the ground with U-staples. Use anchors instead of staples if your construction is quite big. Everything’s ready! As we have the fully grown creeping rose in our workshop, we carefully distribute rose’s stems over the installed net. 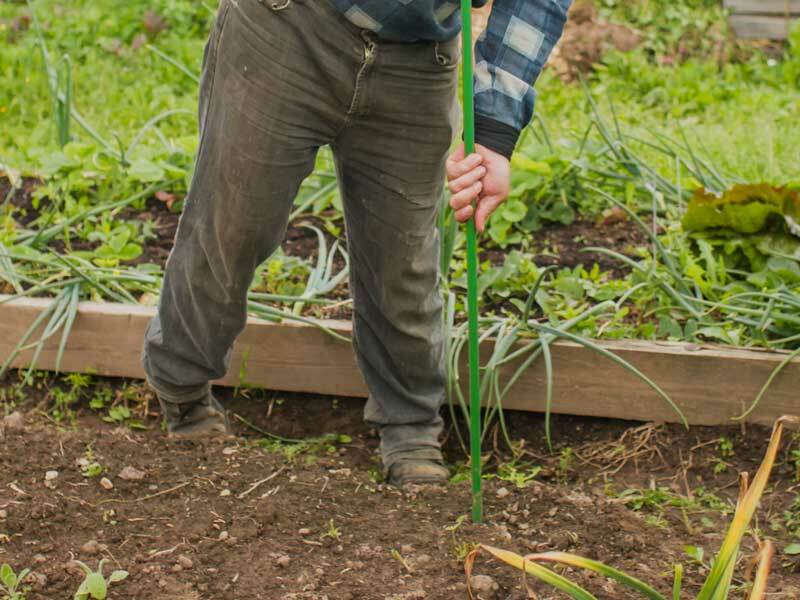 You may fix these stems to the net with garden ties. Using this principle you can build a garden arch, arrange a plant screen for your fence, create shade roof. To do this you should fix the net in desired position and plant some climbers at its bottom.